One of the few actresses that boasted strong presence on screen during the first half of 2015, KIM Hye-soo has decided on another crime noir Precious Woman (Korean title) as her next onscreen gig. Partnering with her will be a versatile actor and her agency colleague LEE Sun-kyun, who is highly in demand in both film and TV industries. The crime feature will be directed by LEE An-gyu, who was previously assistant director for KIM Jee-woon’s star-studded Western adventure drama The Good, The Bad, And The Weird, and LEE Joon-ik’s epic drama Blades of Blood. KIM has starred in popular hits such as CHOI Dong-hoon’s Tazza: The High Rollers and The Thieves, and Cannes’ Critics’ Week sidebar screener Coin Locker Girl by HAN Jun-hee. 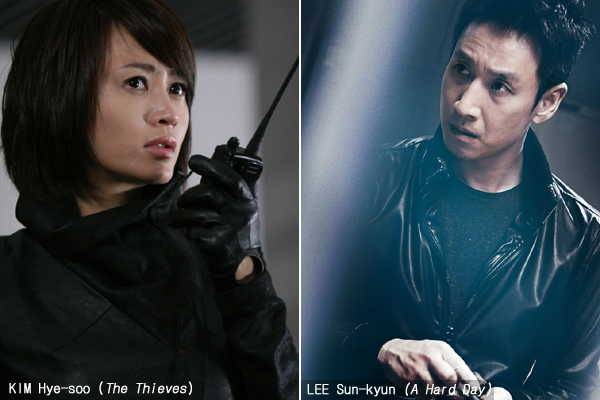 LEE Sun-kyun has starred in mainstream hits including All About My Wife and Helpless, as well as acting in art titles such as PARK Chan-ok’s Paju, HONG Sang-soo’s Nobody’s Daughter Haewon and KIM Seong-hun’s festival favorite low-budget action movie, A Hard Day. His latest film The Advocate: A Missing Body is opening on 8 October. As KIM is currently shooting Family Plan with Don LEE, she is not expected to embark on shooting Precious Woman immediately. According to KIM’s agency, HODU Entertainment, the new film is currently set to crank in early next year. Led by the two very significant thesps, Precious Woman is known to be a story about a woman who takes her gang to the height of a financial magnate, and a man who loves her. Daou Tech Inc. is the film’s investor and distributor.